Here at White Stone we have a very experienced professional Ski Boot Fitting service. Our fully trained and very experienced fitting staff have the knowledge to ensure you get the right ski boots and the best fit. We pride ourselves in attention to detail with full analysis of your feet and skiing style. Your ski boots are the most important factor to a good days skiing and we have invested in the very best equipment and experience to enable us to customise your ski boots, for the very best fit. Each ski boot fitting is on a 1 on 1 basis via appointment to ensure you have all our skills focused on just you. We will require you and your feet for 2 hours or more and before your fitting we do ask that you cut toe nails a few days before your visit. (This also applies before you go skiing.) We recommend that you only wear one pair of ski socks which should be a fitted shape and thin for experienced / performance skiing and medium thickness for intermediate to advanced skiing. If you do not have a good quality sock fear not as we stock a fabulous range of Falke Ski Socks to suit all abilities. 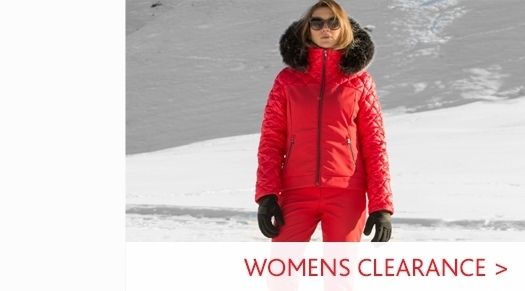 We have fitted womens ski boots for customers far and wide, however we do understand that most of our fittings will be for skiers who live in the Yorkshire, Leeds, York and Harrogate area. If you live outside the Harrogate, Leeds , York or Yorkshire area please call us as we may be able to recommend a suitable ski boot fitters in your area. Please do not order your ski boots online. Get your ski boots fitted a few weeks before you go if possible. Spend as much time in your ski boots at home before you ski. This should be done standing up keeping yourself busy by Reading, Ironing! !, or playing on a game console. This should help pass the time and keep the blood flow to your feet similar to that when skiing. Sitting down does not help! Keep an open mind with colour, make and model. We know our range of womens ski boots and with good explanation from our ski boot fitters we can gain your trust that the ski boots we choose are the right ones for you. Be prepared to be quizzed about your skiing style. A video clip of your skiing on an i Pad or similar device is helpful. The insoles in a ski boot act like the foundations of a house, and when used increase the contact between your feet and the ski boots leading to greater comfort and control over the ski. We have invested in the latest technology for the customisation of insoles from Sidas who are the number 1 for insoles around the world. We always recommend having custom footbeds fitted to your ski boots as you will achieve the best fit and feel for a good days skiing. 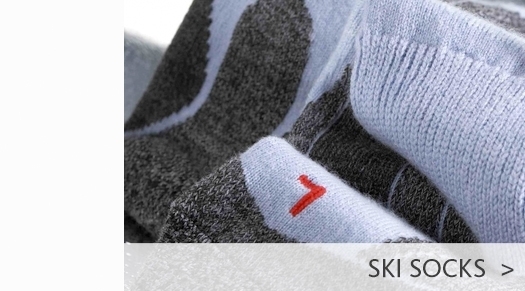 We keep in stock throughout the season a variety of different womens ski sock types. 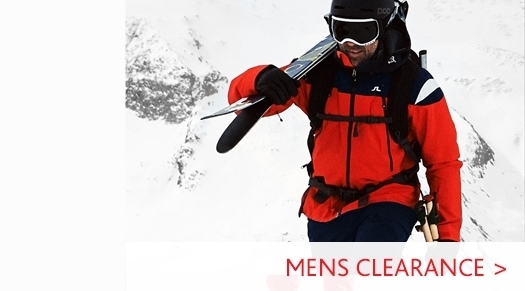 This means different standards of skier with differing needs will always be fully catered for. For advanced skiers or those seeking high performance from their ski boots and ski socks we would recommend a thin ski sock with padded areas where necessary being asymmetrical for each foot. For intermediate/advanced skiers a medium/thin sock would be sufficient. It is important to note that only one pair of socks should be worn at any one time. When wearing multiple layers of socks you can cause bunching of the material and overheating of the foot leading to blistering. The overheating will cause excess perspiration which, once cooled, leads to cold feet. The boots are designed for slight expansion in specific areas, and wearing multiple socks can cause unnecessary deformation all over the ski boot which will decrease the performance. When in the store your feet will be accurately assessed and the ski boots whose shape is best for your feet will be customised for the perfect fit. This includes taking into account factors affecting ski boot selection such as your skiing ability, fitness level and aggressiveness of your skiing. Any other necessary information will be discussed, including previous injuries or foot pain. This is a common problem but is most commonly solved by releasing the pressure of the ski boots by undoing the buckles when not skiing. If you suffer from cold feet when not skiing we can fit an electrically heated foot-bed which does not affect the fit of the boot. 1. How long will my ski boot fit take? You would need to allow 2 hours or more. 2. Can I have my present ski boots adjusted to fit better? Yes we offer full customisation of all ski boots. 3. My old ski boots still fit well, should I change them? As boot and ski technology is updated every year we would recommend updating your boots so you can get the most out of your skiing ability. Important Note: If your ski boots are more than 10 years old they should be replaced immediately as the plastic may have become brittle. 4. Why should I get boots fitted and not rent them? When you have your own custom fitted ski boots, each time you put them on you know exactly how they will perform and fit. You are guaranteed comfort and hygiene. 5. I’m a novice skier will I get any benefit? All skiers will notice the benefit of being properly aligned inside their boot, beginners would especially notice the improved fit, comfort and feedback from the ski and increased feel. 6. Will I have to make multiple trips or will it be done in one go? Although we will endeavor to try to fit you in one visit, sometimes it is necessary to let your feet rest in between fittings. We will not rush you in and out. 7. I was told Brand x was the best are they? Your foot is unique and is fitted uniquely so no brand could be said to be better. It is all down to individual foot shape. 8. Will my ski boots immediately feel great? 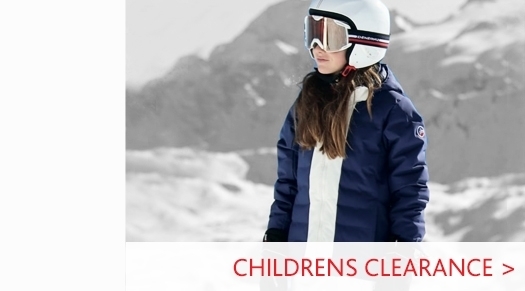 We recommend wearing your boots around the house whilst stood up before you hit the slopes as this gives you a chance to notice any areas of pressure and bed into the boot fully. Ironing (Yikes) is the perfect activity for this as sitting and walking do not mimic the skiing position. 9. How long can I expect my boots to last? This depends on use with infrequent use (1-2weeks a season) boots can last several years. If you are skiing for a full season you will most likely need a new pair within 1 or 2 seasons. The amount of walking on gritted roads can impact on the toe and heals, however these can be replaced if changed on time. 10. I don’t ski much each year, is it still worth it? The benefits of having custom fitted ski boots will be felt every time you wear them. Don't let hire boots spoil even a short trip. 11. Do different skiing types require different boot types? Freestyle boots would need to be softer for more comfort when landing jumps. Free-ride boots would be stiffer than freestyle boots but not as stiff as racing boots. Racing boots should be stiff and close fitting for more precise control over the ski. 12. What are the main points to consider when having a ski boot fitted? Shape of foot and fit are the main points along with Level of skiing/aggressiveness. Previous injuries are also taken into account. 13. What is the most common mistake made when buying boots? Purchasing boots in too big a size, hoping for additional comfort. 14. My feet are half a size different; can I still get well fitted boots? Yes we can customise the shape to fit and allow for the difference. For any further information on Ski Boot Fitting please do not hesitate to contact one of our ski boot fitters on 01423 858584.